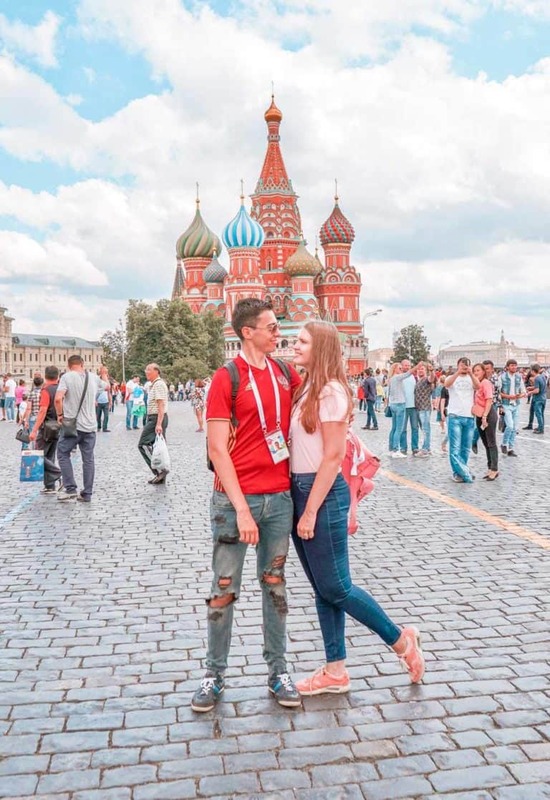 Hi guys, in this post I’m going to tell you how much money you need to travel in Russia. How expensive is Russia? What’s the cost of travelling in Moscow and St. Petersburg? I’m going to cover this and much more in this post about cost of travel in Russia. Let’s get started. I would call myself an expert in very few fields actually, but Russia would be definitely one of this fields. 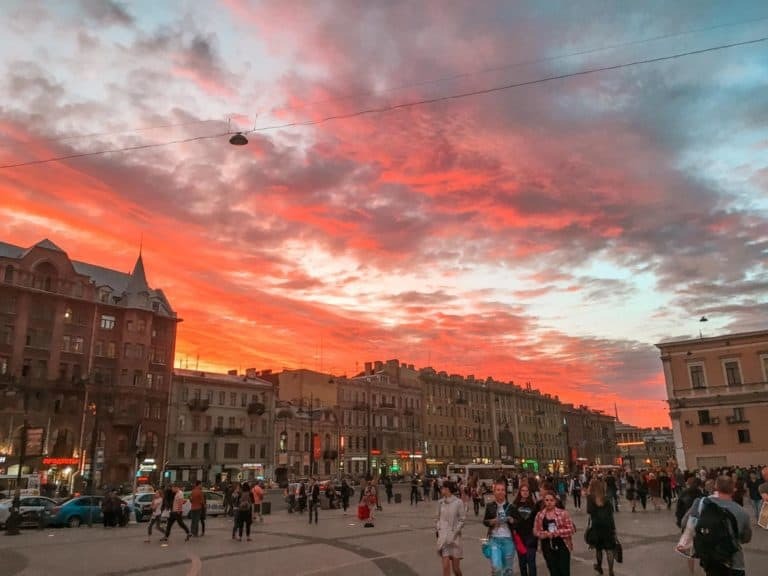 In case you’re new to this blog and you haven’t read any of my posts before, welcome, my name is Liza and I was born and raised in St. Petersburg, Russia (read my local’s guide to Saint Petersburg, Russia). I also lived in Russia until I was 22 when I moved to the UK. I still go to Russia at least 2-3 times a year and stay on top of the trends, so I can definitely share with you the cost of travelling in Russia for 2018 & 2019 (I’ll be updating it for 2020 and further, don’t worry). Moscow and Saint Petersburg are the most expensive cities in Russia (I don’t count Murmansk and other Northern cities, where groceries are extremely expensive because of their location above the Polar circle, but hardly any tourists go there). Moscow is definitely more expensive than Saint Petersburg in terms of restaurants and services, but don’t expect the difference to be that huge. You can find all sorts of properties for all sorts of budgets in Russia. Because of recent (well, it happened a couple of years ago, but it’s still pretty recent) ruble drop, you can actually afford luxury for less in Russia. 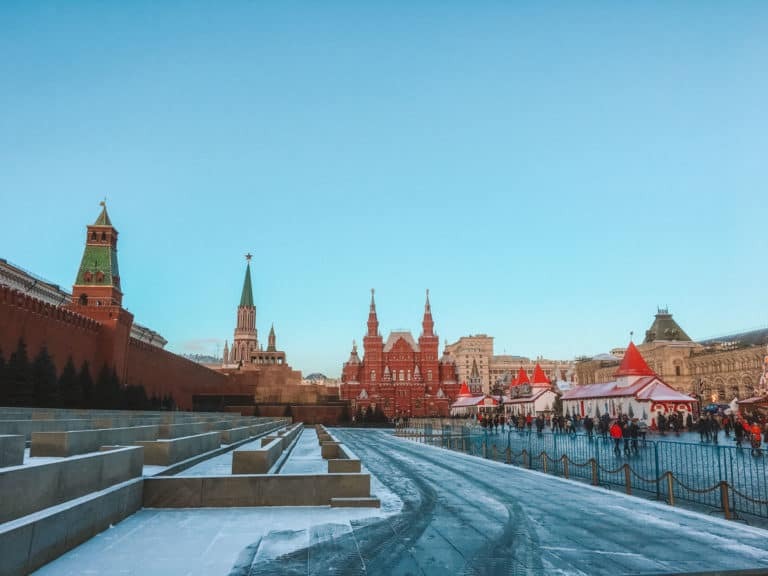 You can stay in a 5* hotel in Moscow for $200-300 per night (there are cheaper and more expensive options, of course, but that’s just an average). Impressive 5* hotels to look at in Moscow are: Metropol, Peter I, Moscow Mariott Grand. 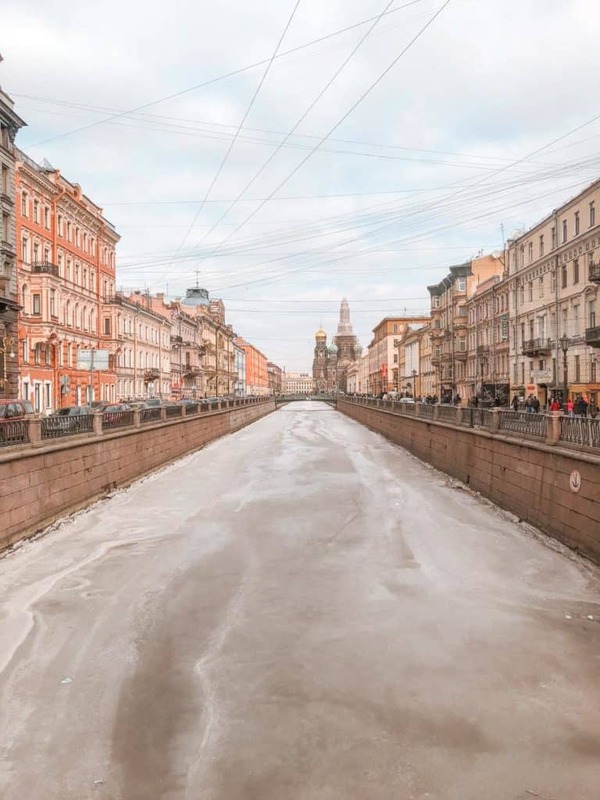 In Saint Petersburg, you can stay in a luxury hotel for $200-350 per night during a high season. 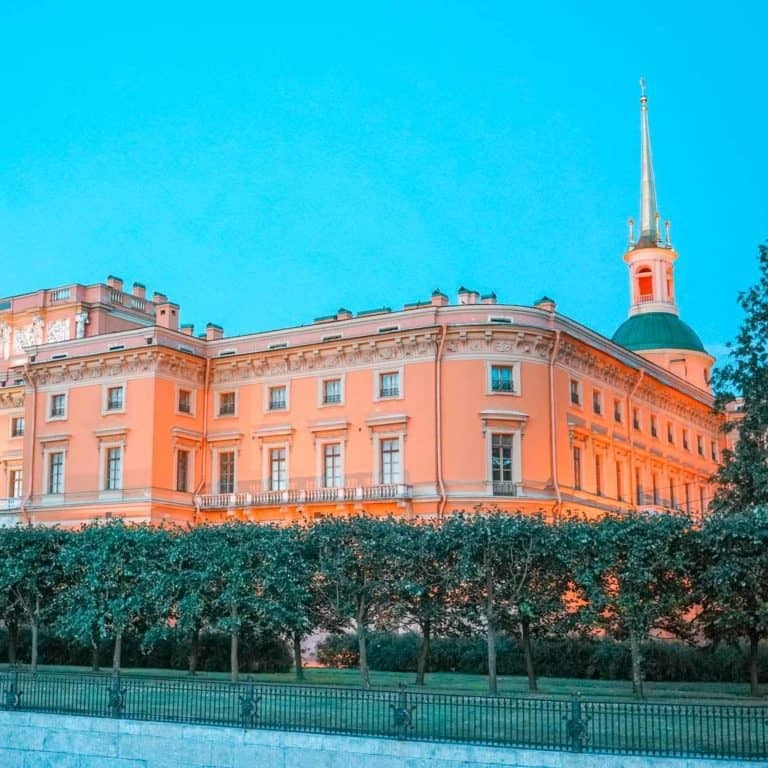 I would recommend looking at The State Hermitage Museum Official Hotel, Corinthia St. Petersburg and Belmond Grand Hotel Europe. If you’re interested in good affordable 3*-4* hotels in Moscow, you can get one for $90-150. Well-rated hotels in a great location within this price range are: Mini Hotel Tverskaya 5, Vremena Goda Hotel, Barin Residence Balchug. Same level of hotel in Saint Petersburg you can get for $60-150 – take a look at Griboedov House, WYNWOOD Hotel and Baby Lemonade Hotel (funny name, but the rating is nearly 10 out of 10). Moscow (price range $15-50): Hostel Kremlin Lights, Hostel Artist on Kitay-Gorod, Capsule Hotel InterQUBE. St. Petersburg (price range $18-50): Hotel Ivan da Marya, Malevich hostel, Simple Hostel. Moscow has many airports, however, the price for the aeroexpress (train to the city centre) is usually around $7-8 per person. A taxi (try to use Uber or Yandex Taxi) would cost you around $15-30. A cost of one ride a public bus, metro tram or trolley bus in Moscow ranges from $0.55 to $0.9. In Saint Petersburg, the airport is close to the city, so you can actually take a public bus to the metro for $0.7 and then take metro to your accommodation – also around $0.75 for a single ride. Some of the metro stations also accept contactless, so you can pay with your bank card. 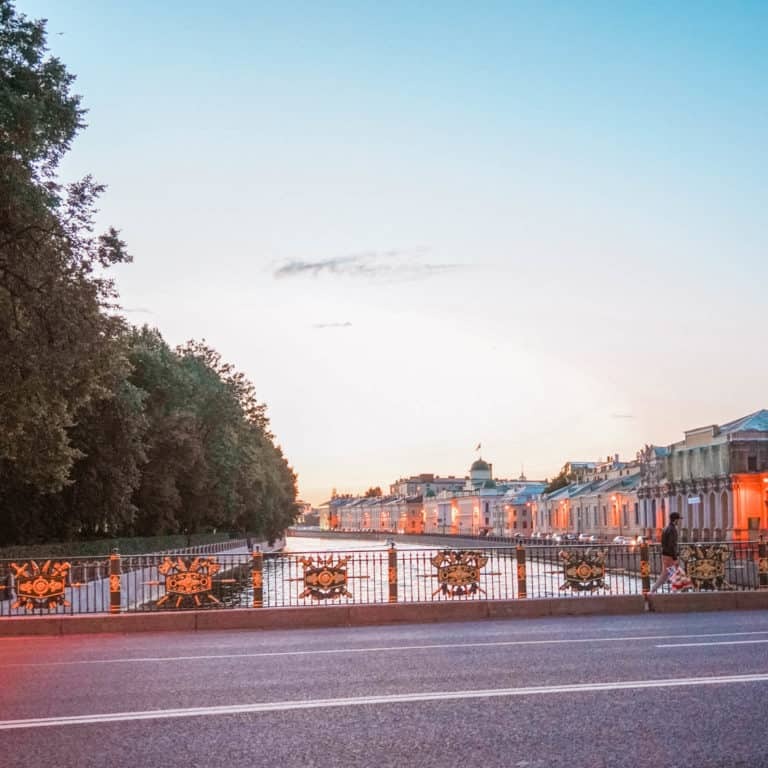 If you’re planning to visit both Moscow and St. Petersburg and looking for the most efficient way to get from one city to another, I’ve got a guide to moving between Moscow and Saint Petersburg for you! How expensive is Russia in terms of food? Well, there are all kinds of places (restaurants, cafes etc) in Moscow and Saint Petersburg and the prices can range from very low ($2 for a meal) to very high ($400 for a meal). However, usually, you can get a lunch in a very nice restaurant in Moscow for about 1500 rub ($20) and in Saint Petersburg, for about 1000 rub ($15). Some nice restaurants also offer business lunches for about $10. If you go to some chain restaurants e.g. Teremok, you can have a menu for about $5, which is an insane price for the amount of food offered. If you’re looking for budget-friendly restaurants and eateries in both St. Petersburg and Moscow, you can go to the places with the name “Stolovaya” – these are usually very cheap and you can eat for as low as $2. If you’re willing to splurge, you can head to White Rabbit (the best restaurant of Moscow) or the restaurants of the Ginza Project group in Moscow and Saint Petersburg. Novikov restaurants are also a great choice, however, the prices are comparable to major European capitals. You would spend around $100 for a dinner with alcohol. Going out & drinking in Russia is relatively cheap as well. Of course, there are a few luxirious nightclubs in Russia, but on average, a very nice cocktail in a posh place would cost you from 400 to 1000 rub ($6-15). If you consider cheaper bars / pubs in Moscow or St Petersburg, you can get a pint of local beer for about 150 rub (2.5$) and a pint of German or Belgian beer for about $4-6. There are plenty of affordable cocktail bars with the deals of 2-4-1 where you can get yourself two cocktails for $8. If you’re on a tight budget, there are two very affordable bar chains in St. Petersburg – Kontakt Bar and SPB bar, where you can get 0.5 of beer for less than $2 (125 rub) and a shot of vodka for even less – 100 rub or $1.44. Finally, sightseeing. Russia is all about museums and landmarks, so I strongly recommend you to visit some. 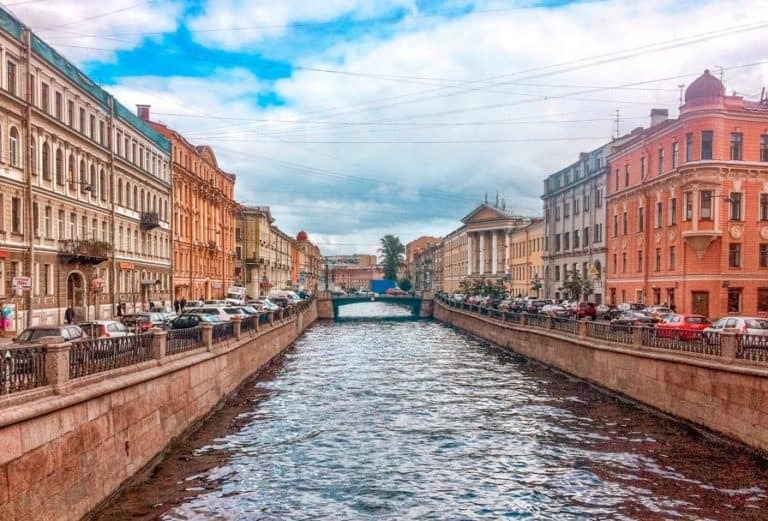 Should you need inspiration, I’ve got a guide to Saint Petersburg with all the landmarks or a 3-day itinerary to see the most important things in the city. For Moscow, I have this weekend guide, so feel free to check it out as well. Pushkin Museum of Fine Arts – 400 rub Saint Basil’s Cathedral – 500 rub. 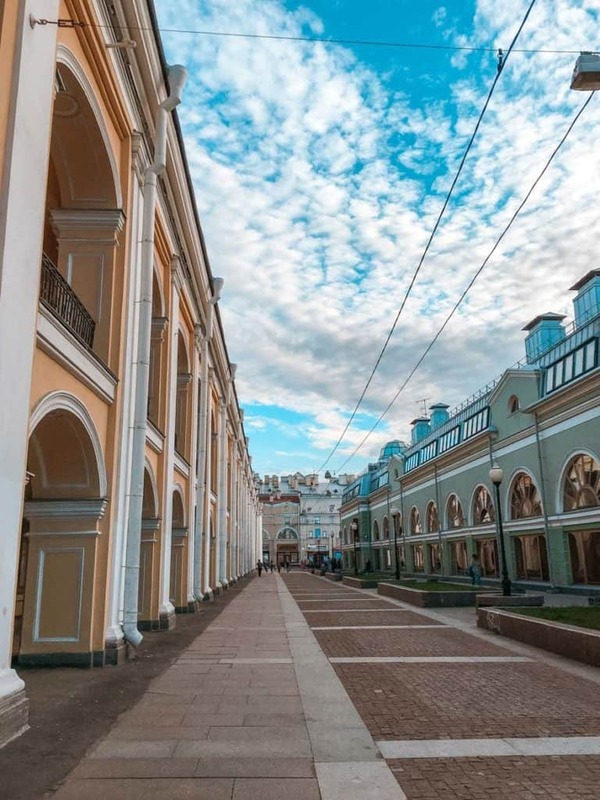 Free museums in St Petersburg: Kazan Cathedral, The Hermitage (free of charge only on the 1st Thursday of the Month) & always for students, Please note that if you have a valid student ID, you can go to some museums free of change (e.g. Hermitage) or get a substantial discount. 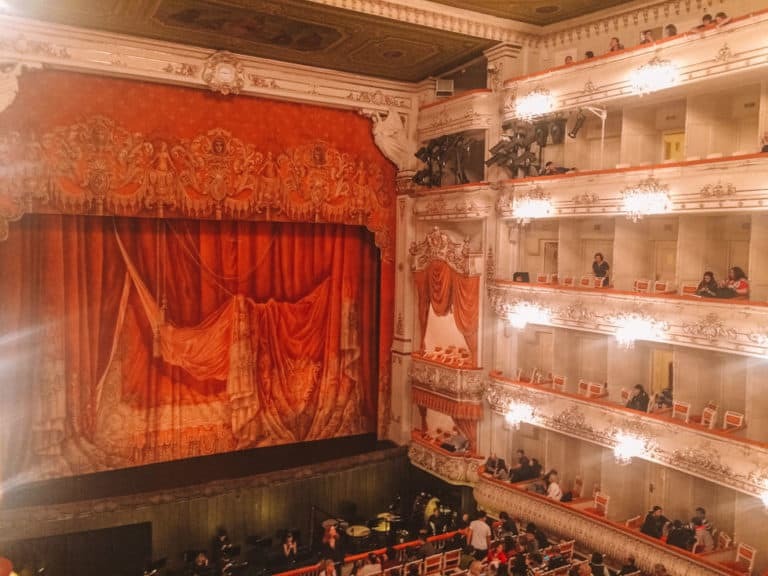 If you want to see ballet in Russia, I’ve got a guide to watching a ballet in St. Petersburg for you! If you’re interested in various tours and excursions in Russia, I would recommend Moscow Metro Tour & Bolshoi Theatre Tour in Moscow and City Sightseeing tour in St. Petersburg. Don’t forget to monitor the exchange rate, as the Russian ruble is quite volatile: the exchange rate used for this post is 65 rub for $1.